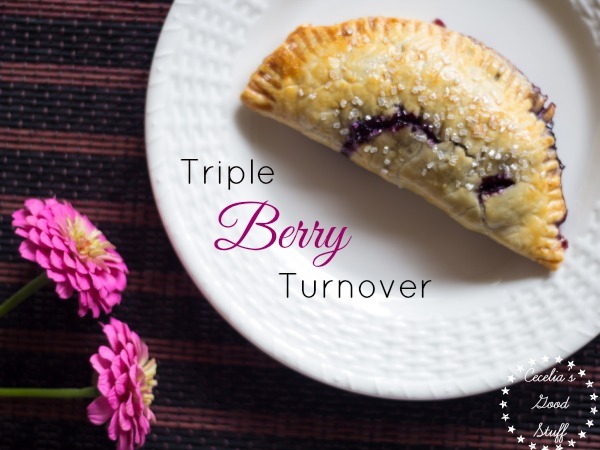 Triple Berry Turnover Recipe made using frozen berries and a prepared pie crust. This is super easy recipe! In a small sauce pan place mixed berries, butter, sugar, orange zest and orange juice. Over medium heat bring berries to a low boil until all berry mixture is tender (about 10 - 15 minutes). Set berry mixture aside and allow fruit to cool. Meanwhile preheat oven to 350 degrees Fahrenheit and line two large cookie sheets with parchment paper. On a floured surface, lay out the four pie crusts. Using a four-inch round bowl, cut three circles out of each pie crust, for a total of 12 circles. Spoon about 2 tablespoons of berry mixture into each round pie crust. 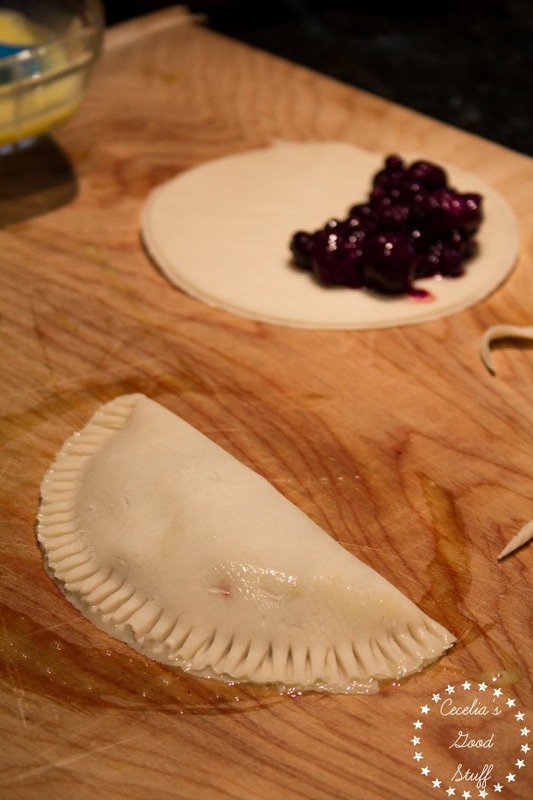 Brush the edges with the beaten egg and fold the pie crust in half over the berry mixture. Seal closed using a fork pressing down firmly and making sure to seal all the crust. Transfer to a parchment lined cookie sheet. Bake for 15 - 20 minutes or until dough is golden brown. Using a thin sharp knife make 6 – 8 narrow slits on the tops of each turnover with a knife so the berries have room to breathe while baking. This will help prevent the seams from bursting open while baking. Brush each turnover with remaining egg wash and sprinkle with large baking sugar crystals. Place turnovers onto parchment paper lined cookie sheets and bake for 15–20 minutes or until the turnovers are a light golden brown. 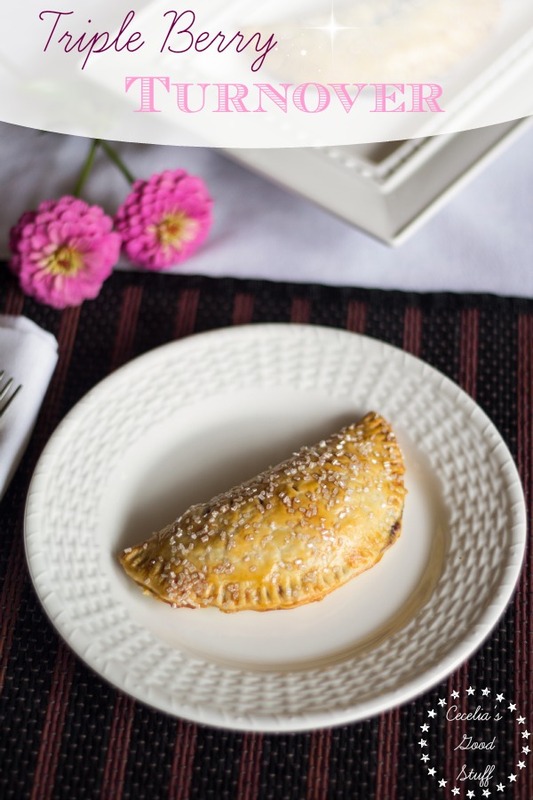 Allow turnovers to cool slightly before serving. 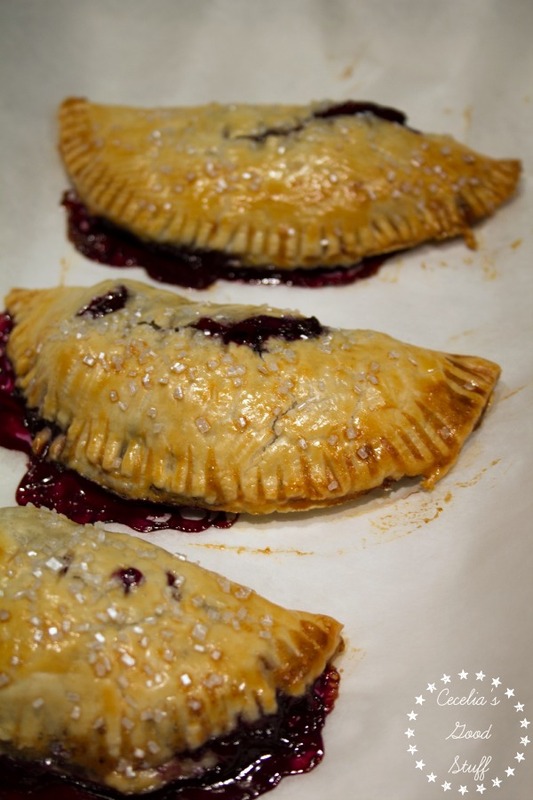 Triple Berry Turnovers are great served as a dessert or as a morning pastry with coffee. « Earl Grey Muffins from Bigelow Tea Co.